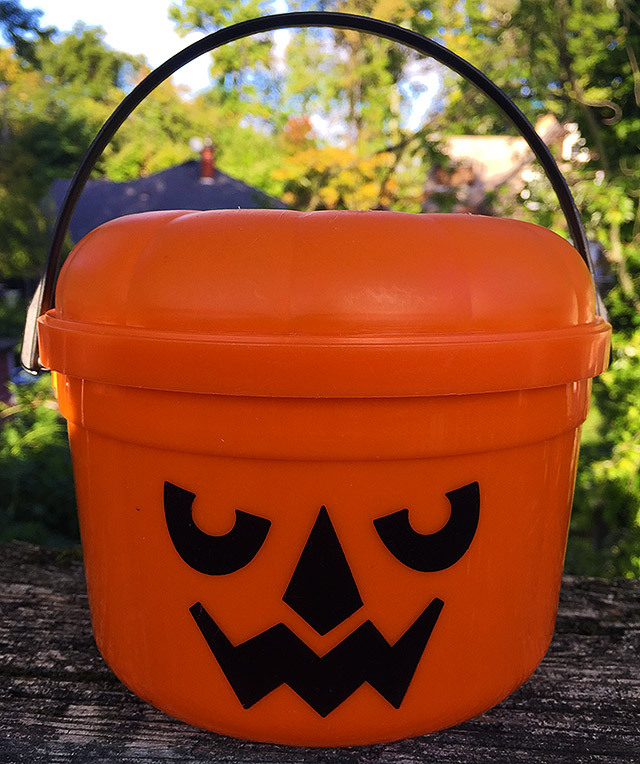 1980s McDonald's Halloween Pails! | Dinosaur Dracula! Future sets included additional colors and “characters,” but I’ve always been fondest of the original all-orange versions. 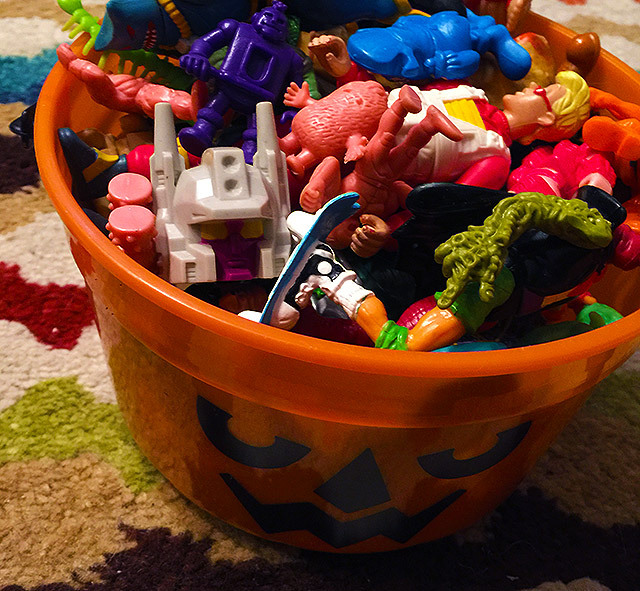 These were Halloween toys in the purest imaginable form. Today, they evoke more a sense of innocence than visions of ghouls and goblins. 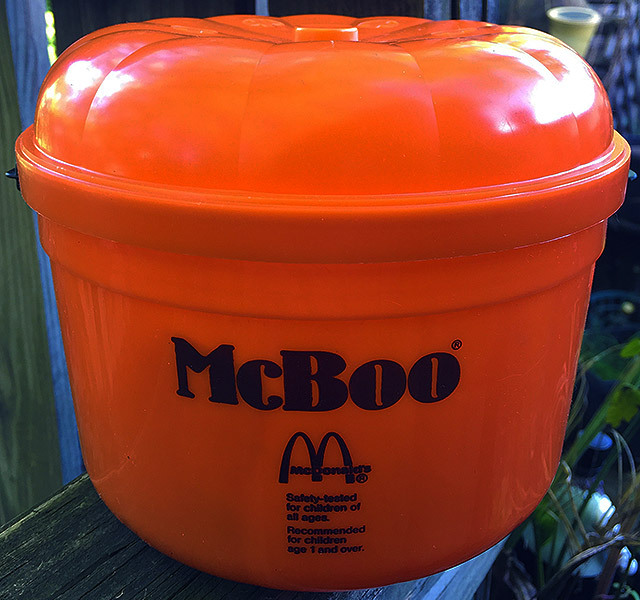 Shown above is the McBoo pail — my favorite of them all, and to such a degree that I still commonly call all of the pails “McBoo,” no matter how incorrect that is. 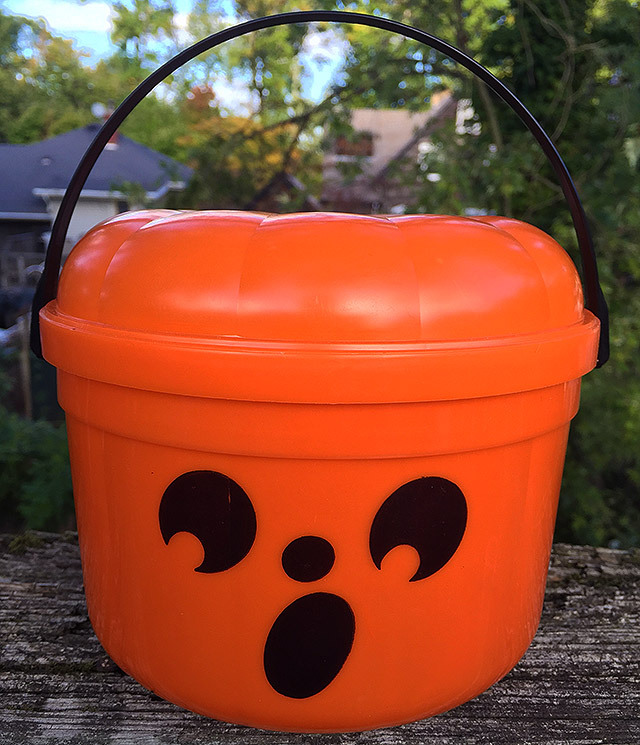 There was such a beautiful simplicity to these things, plainly evidenced by how many stores continue to sell Halloween “buckets” that look remarkably similar. Since those pails are unlikely to make today’s kids flip their lids, some of you may be wondering why we used to go so wild for them. Getting them from McDonald’s was a big part of it, I suppose. It was a case where size mattered, because these were just so much bigger than what we usually carried out of McDonald’s. 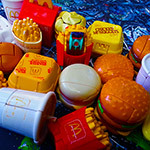 Plus, there was just that unique sense of ownership that came with all Happy Meal toys. No matter who bought the fries, we always felt like we earned them. 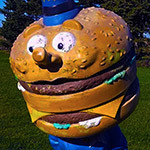 They were rewards, and while “eat a cheeseburger” is an admittedly easy achievement, this did nothing to diminish our malformed sense of pride. 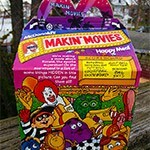 I don’t know if McDonald’s was very explicit about it, but the pails were commonly used for trick-or-treating. Instead of a pillowcase or a ShopRite bag, you’d bumble around the neighborhood carrying one of these babies. In truth, the pails were only good for that purpose if you were an especially young kid — one whose chaperoned travels went no further than one or two blocks. 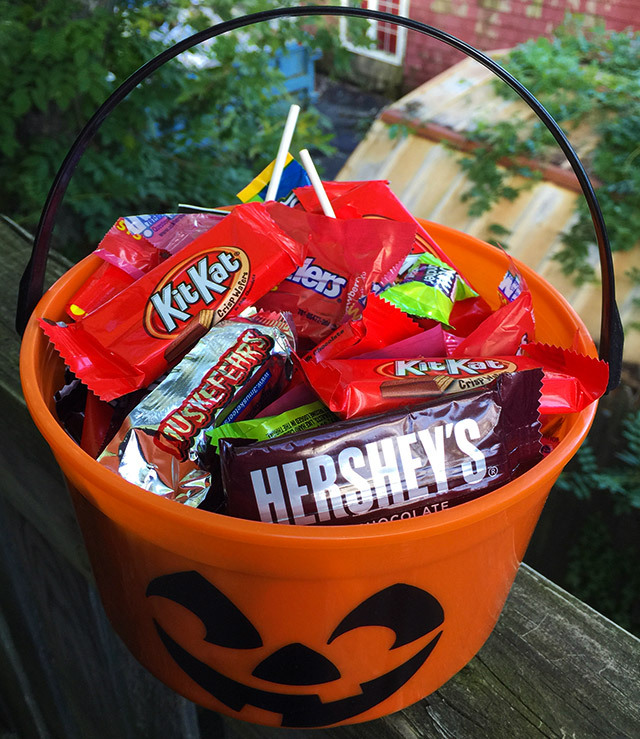 For the rest of us, they just didn’t hold nearly enough candy. Halloween was a contest of quantity, and nobody wanted a sad sack. …and upon reading that, the uninitiated may wonder just how these pails made such an impression on us. 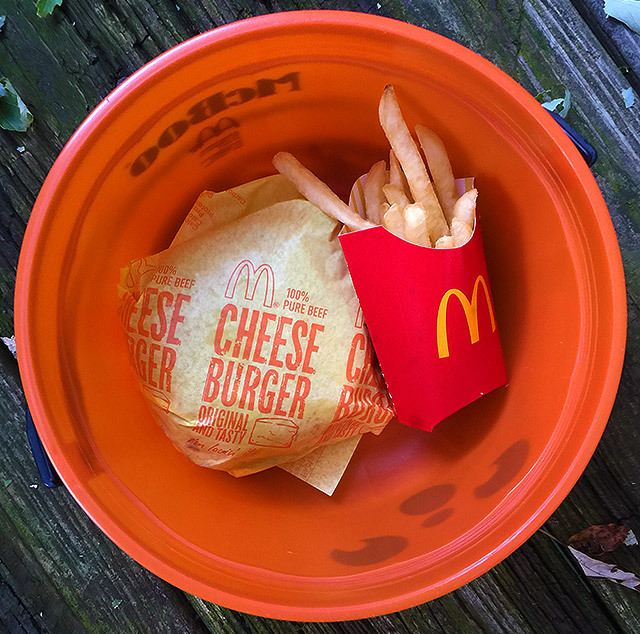 After all, they’re just buckets, adorable for sure, but certainly lacking the obvious appeal of, say, McDonald’s Changeables. 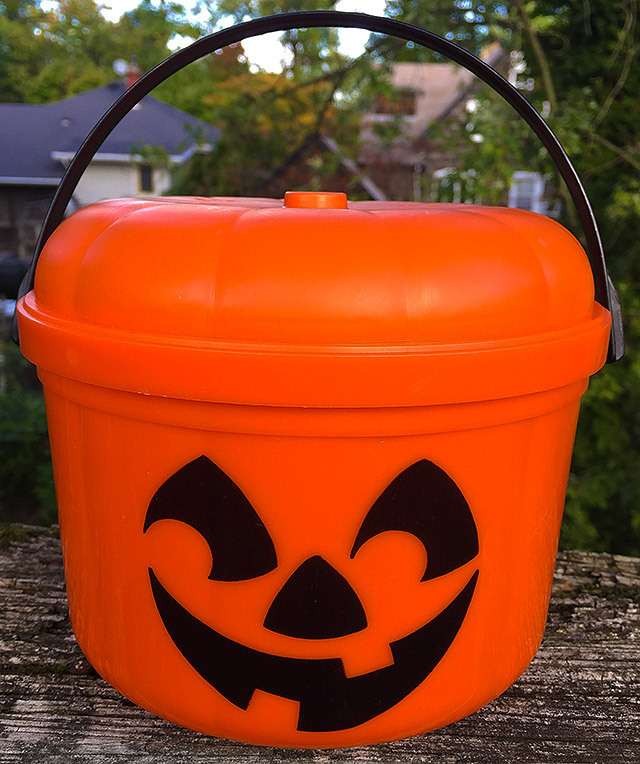 Well, here’s the answer: Those pails were not simply “one-and-done” toys, enjoyed during a single Halloween season. Instead, they became forever fixtures. Too large to lose and too durable to break, kids used the pails for just about everything: Crayons, LEGO pieces, action figures… everything. I look at them and remember ancient Halloweens, yes, but I also remember my entire freakin’ childhood. These pails would quietly become a part of it all, always lurking from some corner, irrespective of the season. Above are McPunk’n and McGoblin. 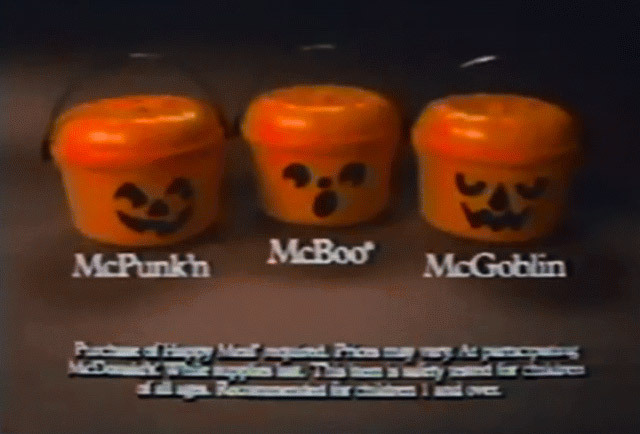 I’m a McBoo loyalist, but I concede that McGoblin was the one to get back in elementary school. 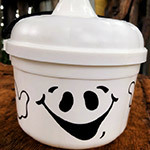 While the pails have returned in more recent years, they’re always branded with some other property’s logo and characters. (For instance, this year’s pails are Minions-themed.) Many of us pray for McDonald’s to dust off the original concept, which was blissfully restrained and as sincere as Linus’s pumpkin patch. Of course, those of us doing the praying aren’t exactly in the target demo for Happy Meals anymore. The good news? 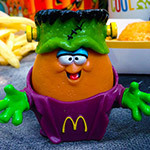 McDonald’s Halloween Pails — all of them, including the later editions — have remained incredibly cheap on the collectors’ market. If you want to buy back a piece of your childhood, it won’t cost much! 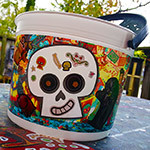 McDonald’s “Book of Life” Halloween Pails!